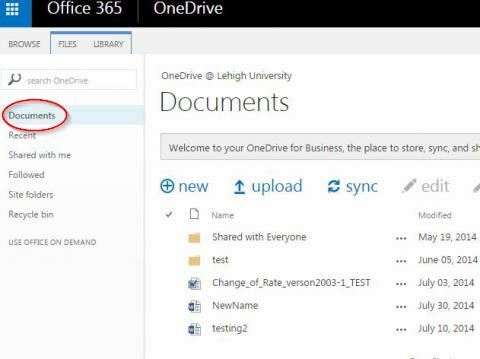 The following instructions will guide you through the basic process of creating a new document in your Lehigh Office 365 account suite online. 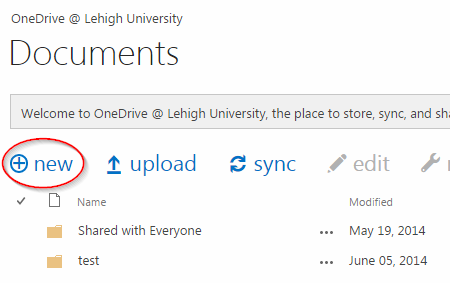 In your Office 365 account suite, click on Documents in the left menu pane. You will see your Documents library. In the Documents pane, click the New icon. You will be given the option to create the file type of your choice. You also have the option to create a new folder for your file library. For this example, we will select Word Document. 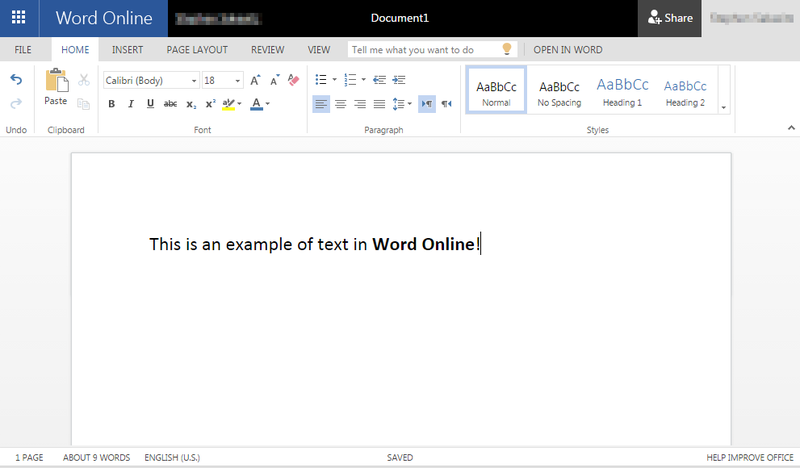 The online version of Microsoft Word will open on your screen. Create your document as you normally would. Keep in mind that not necessarily all options found in the full version of the Office program may be available to you in the online version. By default, your new file will be named "Document" and will display in the middle of the black bar at the top of your window. You can rename your file at any time simply by editing that name. Click anywhere on the name and make changes to to the text in order to change the name. 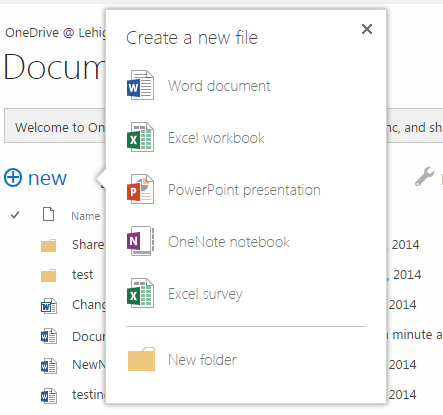 Office 365 automatically saves your document as you are working on it so you will not see a Save option. You do however have the option to download a saved copy, or a PDF version, of the document to your computer. To do this, click File in the left corner of your screen, then select Save As. You can then choose to either Download a Copy or Download as PDF to your computer. Office 365 does not have an Exit button. To exit out of the file once you are finished working on it, look for your name in the top LEFT corner of the screen and click on your name. This will close the file and return you to your Document Library. 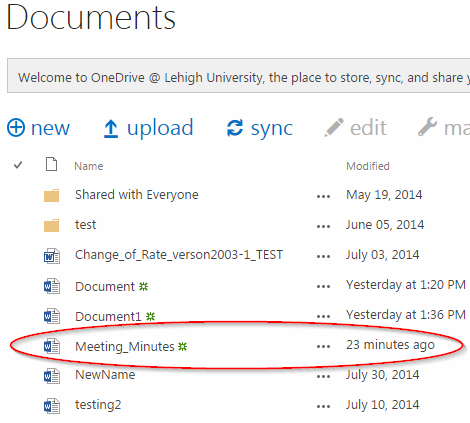 You should now see the file you created in the list of files in your Documents library.